Cheryl Bardoe is the author of Gregor Mendel: The Friar Who Grew Peas, an Orbis Pictus Honor Book, an ALA Notable book, and an IRA Notable book; Mammoths and Mastodons: Titans of the Ice Age, an Orbis Pictus Honor Book, a Bank Street Best Children's Books selection, and a Junior Library Guild selection; and The Ugly Duckling Dino. She lives in Chicago with her family. Barbara McClintock has illustrated over forty books for children including My Grandfather's Coat, The Gingerbread Man, and her own highly acclaimed Adèle and Simon series. Her books have been honored five times as New York Times Best Illustrated Children's Books, among many other awards, citations, and starred reviews. She lives in Connecticut with her husband, the artist David Johnson. "Masterly... a superb picture book biography." * "The artwork...is truly a sight to behold.... A highly recommended choice." * "A compelling biography...a lesson in perseverance.... A highly recommended addition to the growing number of books about women who have made significant contributions to knowledge." kids.... I love this book." "This portrait of a quiet heroine is elegant, striking, and sure to inspire." 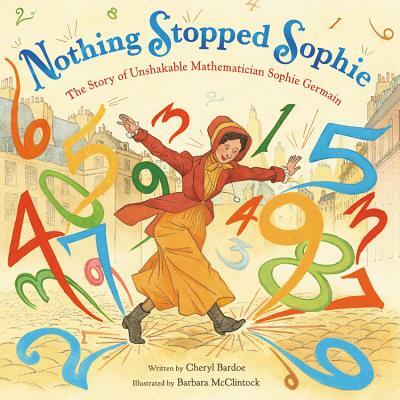 "Graceful and lyrical...an inspiring portrait of the plucky, self-taught mathematician." "McClintock's scenes of 18th-century France are infused with a golden glow; numbers loom along city streets and burst from Germain's quill pen. Bardoe concludes this warm biography by emphasizing how later mathematicians built upon Germain's work."